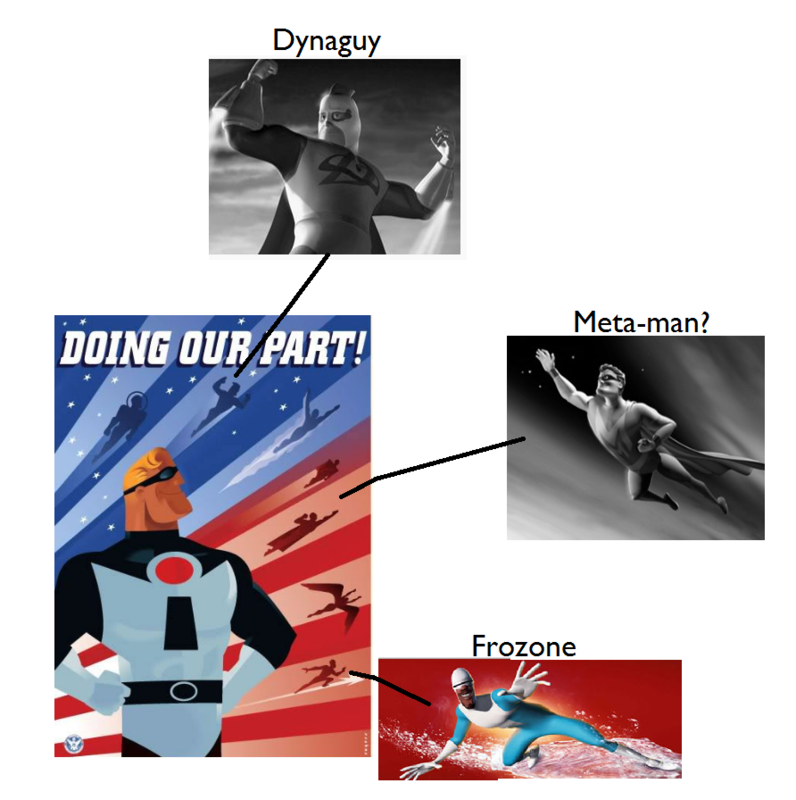 A few of the 'supers' in the pictures are identifiable; Frozone by his distinctive ice trail, Dynaguy by his helmet crest and Meta-Man by his trademark pose. Not the answer you're looking for? 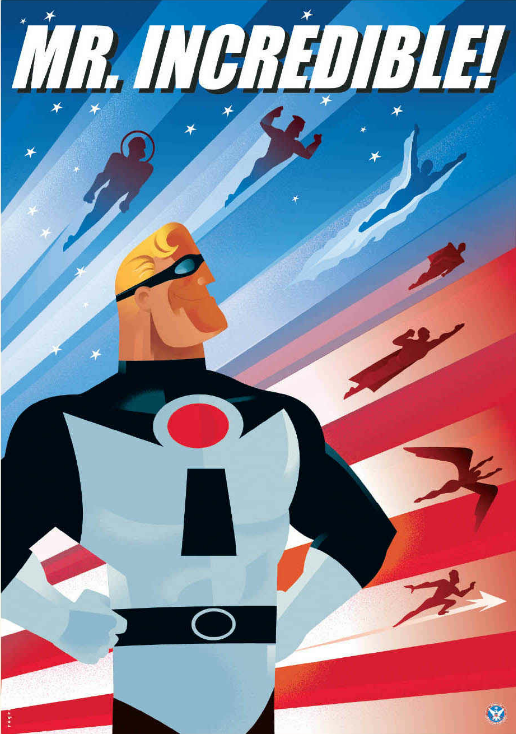 Browse other questions tagged character-identification super-hero disney pixar the-incredibles or ask your own question. Who are these characters from Order of the Phoenix? 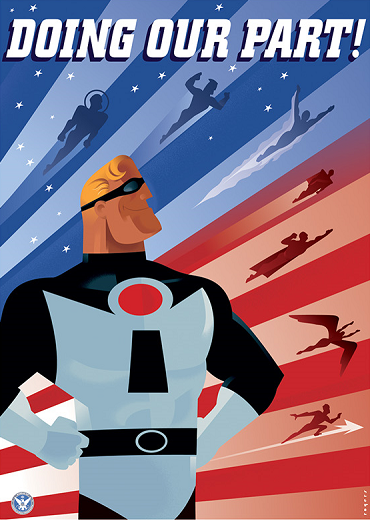 Why are The Incredibles villains technologically-based? In Incredibles 2, why didn't anybody realize this?